As Career Services Director and Chapman EMBA alumna, I am particularly invested in our continued success at the Argyros School of Business and Economics. I partner closely with the business community, and Chapman faculty and alumni to ensure our current students and graduates have access to opportunities for career mentorship, placement, and advancement. Along with the Argyros School’s Career Services team, I am committed to creating connections that are advantageous for each of our stakeholders. On the student and alumni side, I bring a passion for helping people identify their individual talents and strengths, and then strategically marrying those with well-suited career opportunities. For employers, I facilitate opportunities where companies can engage with students and alumni in a variety of formats to both consider strong candidates for open positions, and encourage hiring managers to share their professional experiences as mentors. Prior to joining the Argyros School Career Services team, I worked in Corporate Talent Acquisition for a national, publicly traded, residential home builder as well as for the largest private security firm in North America. This is my second time in the Director role at the Argyros School and I am thrilled to once again have the chance to positively impact the future careers of our students. As Assistant Director, I work closely with undergraduates in our Business Programs to make sure they are prepared for a rewarding and demanding career in Accounting, Business, and Economics. From providing individual career counseling to collaborating with various entities for our highly successful Accounting Recruiting Program (ARP), all of my efforts are strategically geared towards ensuring our talented students have a variety of viable opportunities with the end goal for them to achieve successful careers. Before joining the Argyros Career Services team, I worked in career services for over six years proving undergraduates from various program with one-on-one counseling and job recruitment opportunities. I am a Student Affairs professional because I truly enjoy witnessing students’ incredible transformation, development, and professional growth as they become contributing members of their selected profession communities. As Assistant Director, I work to make sure our MBA and MSA students are well prepared for their professional life. From one-on-one counseling to managing our mentor program, everything I do is geared toward the career success of our masters-level business students. Prior to joining the Argyros Career Services staff, I worked in career services at both the University of La Verne and Cal State Fullerton where I coached both undergraduate and graduate students on career development. Before transitioning into higher education, I taught (both domestically and abroad) English as a Second Language while holding additional roles in content development and student advising. My time teaching international students has fueled my interest in working with them to overcome barriers to entering the American workplace. As Career Development Coordinator, I work closely with undergraduate students in the George L. Argyros School of Business and Economics to ensure they are equipped for both a rewarding and exciting career in all levels of business. This includes providing coaching in resume and cover letter writing, networking, career exploration, personal branding, LinkedIn reviews, and much more. 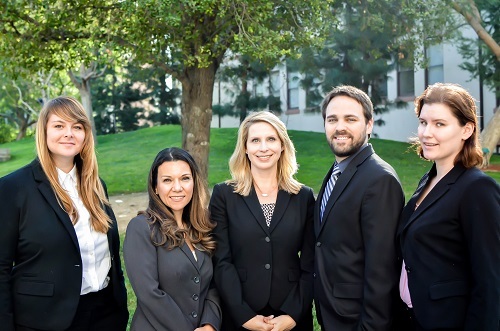 Prior to joining the Argyros School Career Services team, I spent two years working at Mihaylo Career Services at California State University, Fullerton. There I was able to connect with students of varying backgrounds and support both graduate and undergraduate students through workshops, one-on-one advising, and employer related events.